Spend less time with patient billing and do more of what you love. Eliminate the frustrating chaos of face-sheets and index cards for less than the cost of one patient consult. Stop worrying about lost revenue and decrease billing cycle by up to 85%. See more patients with instant, effortless charge capture, rounding and RVU tracking. Designed by a physician, maxRVU is a fast, intuitive and easy solution that helps physicians, mid-levels, and hospitals automate and minimize data entry for charge capture on-the-go. Capture, track, and submit charges for billing at the point of care. Reduce billing cycle by up to 85% with accurate charges sent in real time to the billers from the palm of your hand. Discover the time to see more patients and increase your revenue with effortless charge capture, and communicate securely with HIPAA-compliant instant messaging. maxRVU is the perfect time-saving solution, allowing you to focus on what matters most - your patients, your family, your life. Accurately track your bonus with paperless RVU reporting. We're so confident that maxRVU is the cure-all patient encounter solution that we offer it free of charge for the first 15 days. Start gaining your time back in as little as 5 minutes. maxRVU Charge Capture is the tool to spend more time with patients and less time worrying about those pesky charge sheets. maxRVU helps Nurse Practitioners, First Assists, and Physician Assistants communicate securely with HIPAA-compliant instant messaging, and helps track encounters efficiently to ensure proper reimbursements. We can ensure that every trauma surgery and patient encounter will be instantly sent to the billing department, allowing hospitals to monitor physician output and their RVU totals for the month. There’s no need to implement multiple software and worry about integration… maxRVU Charge Capture has it all. Start reclaiming thousands of dollars lost from forgotten or late charges in a little as 5 minutes by signing up today. 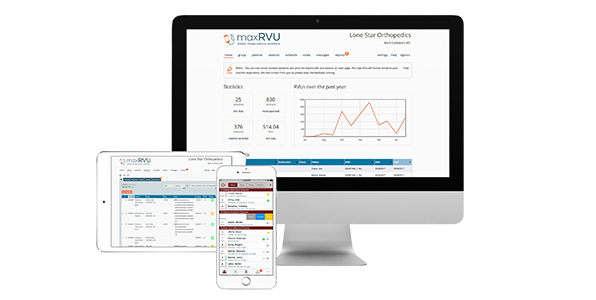 Your residency with maxRVU will better prepare you for the real world of being a physician, all while keeping better track of your case logs. 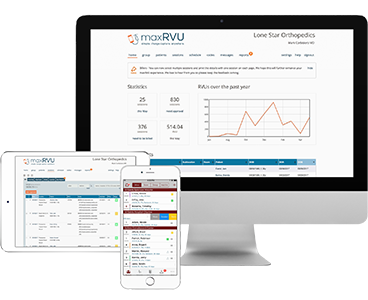 Residents are often left out of the business side of medicine during training, so maxRVU Charge Capture is here to help fill that gap. You'll learn the codes specific to your specialty and submit your very own patient encounters to an attending physician. maxRVU's instant charge submission will cure billing cycle challenges by turning a week long endeavor into a 5 minute review. The biggest headache billers and billing companies experience is receiving precise charges from physicians on time, or even at all. With maxRVU, receive charges instantly, along with photos of face sheets. Send secure queries directly to the Provider's mobile device and fit seamlessly into their busy schedule, which helps everyone receive payment on time. Being a physician assistant, I see a lot of patients in and out of the hospital. Keeping track of each charge sheet was immensely tedious and I’m pretty sure I lost a few of them. Ever since I started using maxRVU, I haven’t forgotten or lost a single charge. My biller even told me I’m coding more accurately which I think is because I can submit the session right after it happens, rather than waiting like I used to. The Neurosurgery group at the University of Louisville were in the market for a better way to track individual RVUs for each physician; on top of ensuring every patient encounter was sent to the biller (including the unscheduled ones.) maxRVU became their quick and easy solution to a complex problem, and they’ve never looked back. Obviously I am a big fan of maxRVU. Very user friendly. Y'all have developed an impressive service. maxRVU helps take a worrisome task and turns it into a pretty simple task I don’t worry about. I love that I can scan the patient labels to capture patient information. The customer service has been super responsive and open to my ideas and suggestions. My first two months after starting to use maxRVU were my two most productive months by far. My office assistant also loves it, and it makes it very easy for her to submit charges. Thanks! I enjoy using the program and the main advantage for me has been more accurate procedure coding and wireless real-time communication with my biller; that has resulted in significant reduction in the time needed to process and submit claims. I am very happy with the product. I like the layout and some of the latest features such as bundled codes and scanning of patient information. 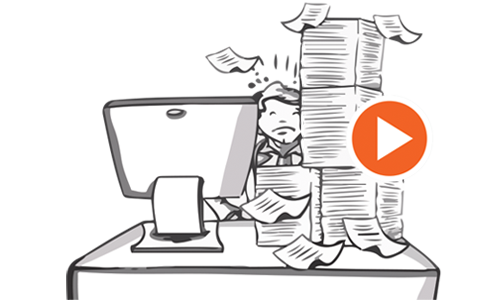 maxRVU has helped me streamline my patient billing…no more paper notes stuffed hastily in my pocket or a stack of superbills with hastily scribbled notes for my assistant to interpret. Most importantly, I am recovering all missed billing opportunities and getting insurance payments faster. I previously relied on a cumbersome system of facesheets, patient stickers, and notecards to track my patient encounters leading to lost revenue. I discovered maxRVU to streamline my billing sessions and this program is incredible. We looked around and found solutions costing almost twice as much with the added cost of support. We're a midsize group and the savings with maxRVU made our decision a no brainier. maxRVU has been a great tool for communication between our gynecologic oncologist, who spends 3.5 days per week in the operating room, and our billing/coding staff. With maxRVU we were able to reduce time to bill from weeks to days from the very start, while getting more visibility on our hospital activity. Thanks, as always for your prompt attention! It’s the one thing that I value most in our partnership with maxRVU. You really deliver on customer service. Did you know that text messages might not be HIPAA compliant? Our HIPAA compliant server protects every message sent within our messaging feature of maxRVU. Easily send photos of x-rays, patient charts, or screenshots of codes used. Medical Assistants can inquire about your rounding schedule for the day. Quickly inquire about the group lunch that was being provided just in case you don’t make it in time. If you’re lucky, one of your colleagues will save you a plate because we all love a free lunch. Health Level Seven, also known as HL7, is the standard for interfaces between health care software and other technologies. maxRVU Charge Capture also uses HL7, allowing us to integrate fully with whichever platform you choose. Call us for a seamless interface from your hospital EHR to your Billing system. In the medical industry, patient privacy is a top concern. HIPAA compliance isn’t only necessary; it’s 100% mandatory. 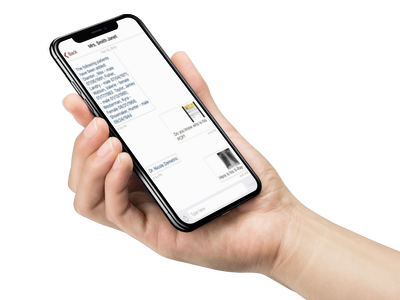 maxRVU is built to ensure that patient encounters are easily tracked through a mobile application and prides itself on the security measures taken to meet HIPAA compliance. You can breathe easy knowing that your patient’s privacy is well cared for. Here’s the list of how we achieve the utmost secure standards to safeguard your data. 1. maxRVU uses encryption for all data transmissions. 2. Data at rest is encrypted. 3. maxRVU maintains redundant encrypted copies of all data at multiple locations. 4. maxRVU data is controlled strictly by permission-based architecture and only authorized, authenticated personnel may access the data they have rights to.